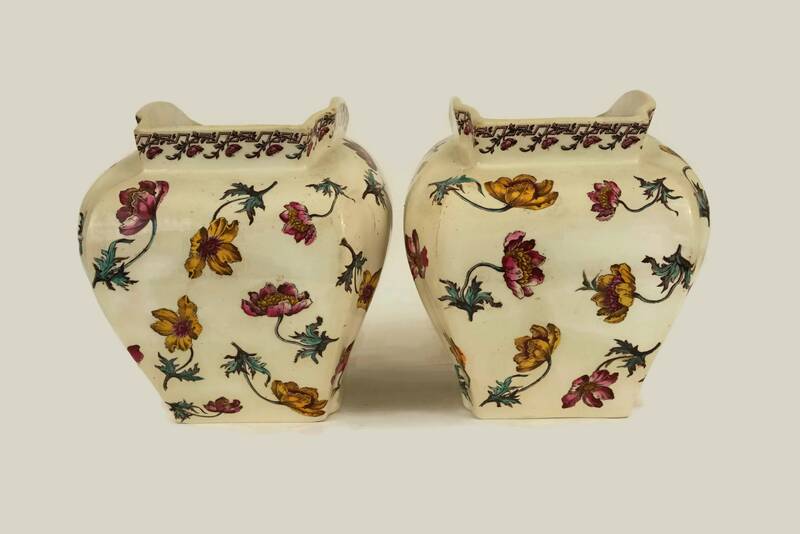 A beautiful pair of antique French faience cache pot dating from the early 1900's. 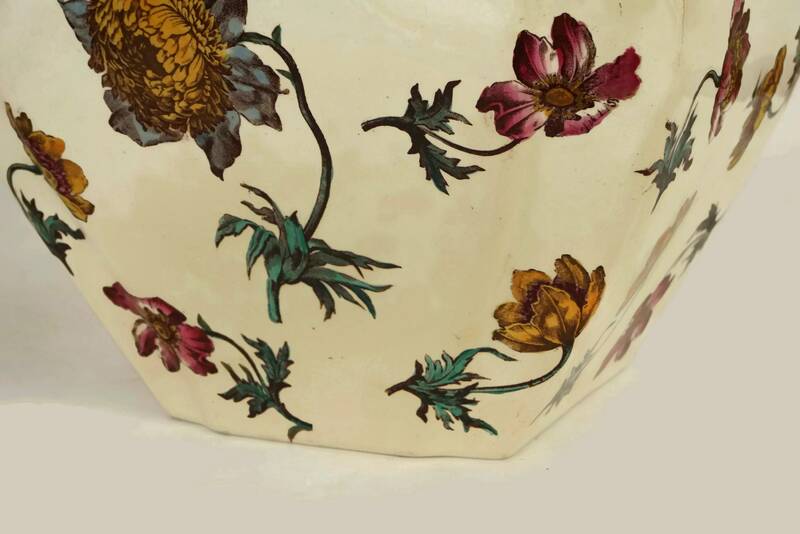 Decorated in the beautiful Louis XVI pattern, they were created by the acclaimed Luneville Keller & Guerin pottery company. 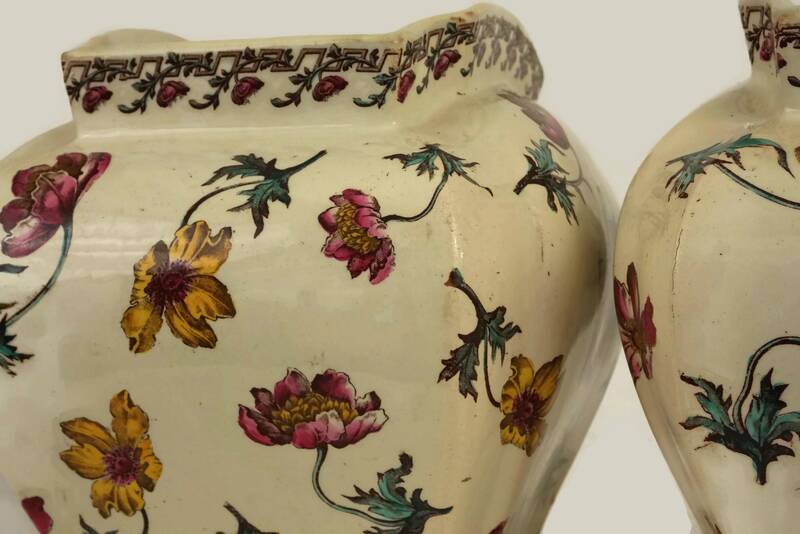 Each of the large vases features a classic ovoid form with a tapering base. 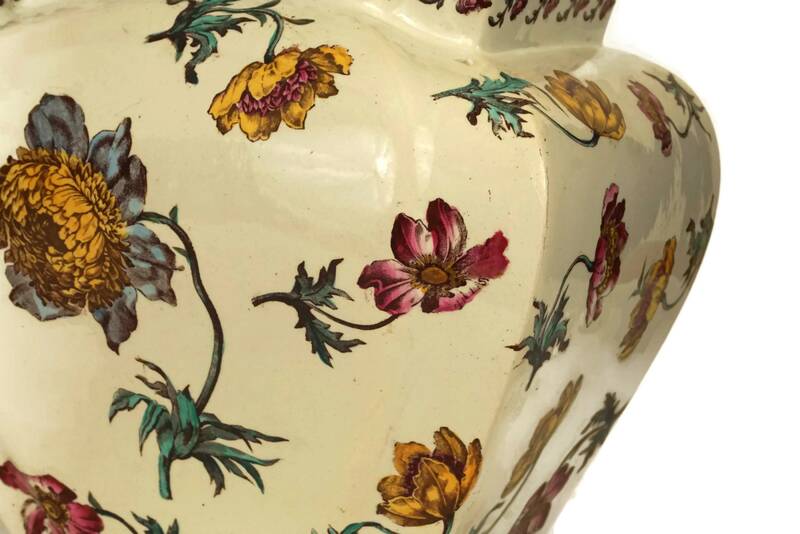 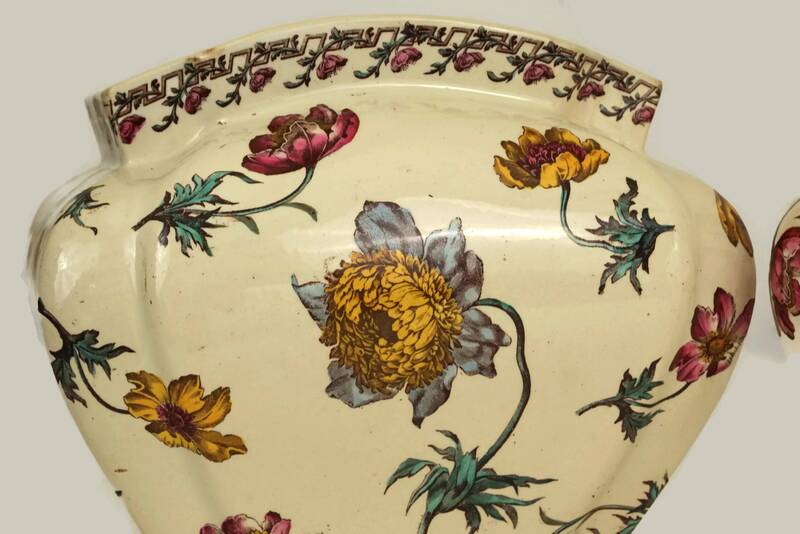 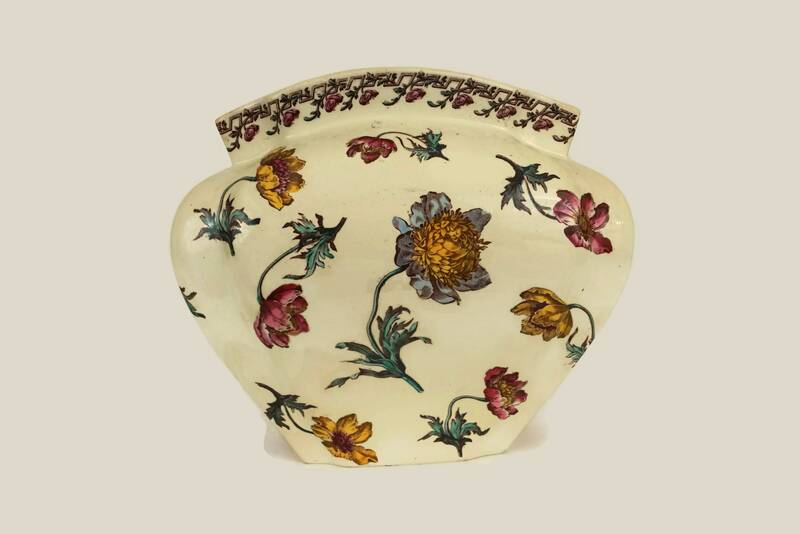 The exterior surface features lovely large transferware flower blossoms whih have been individually hand-coloured. 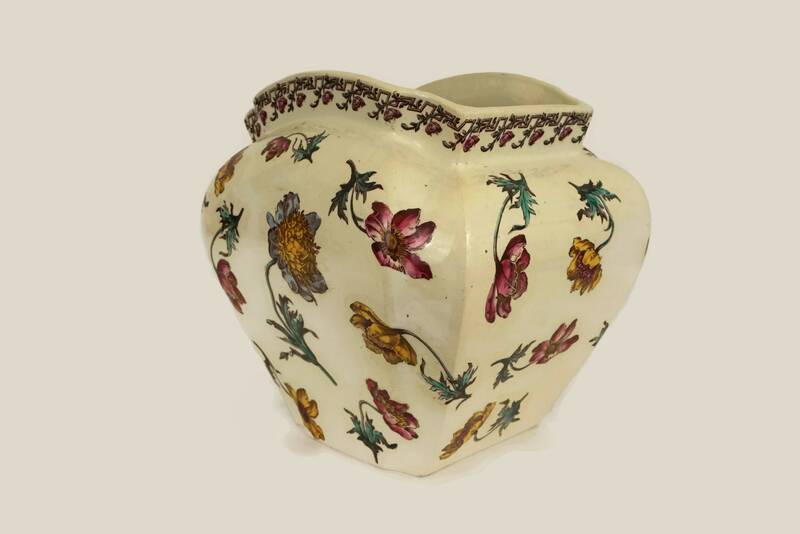 The neck openings have an ornate Greek key pattern with intertwined wild roses. 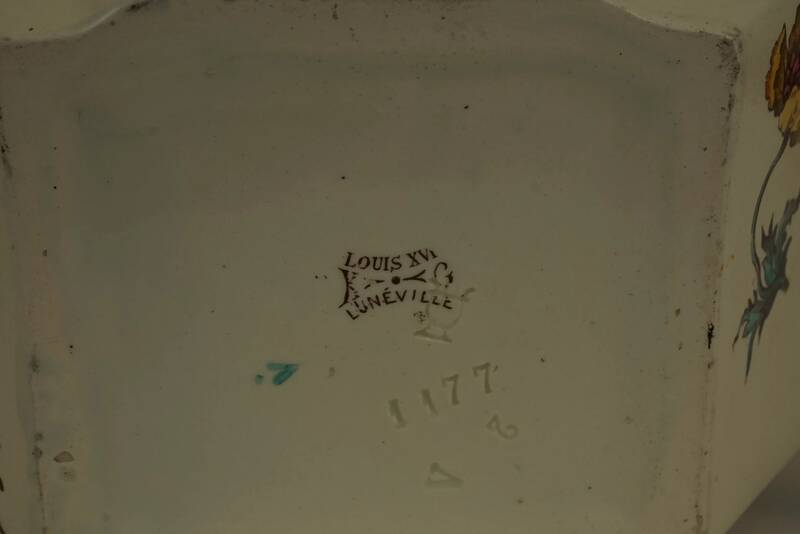 The undersides have been stamped with the KG Luneville maker's marks. 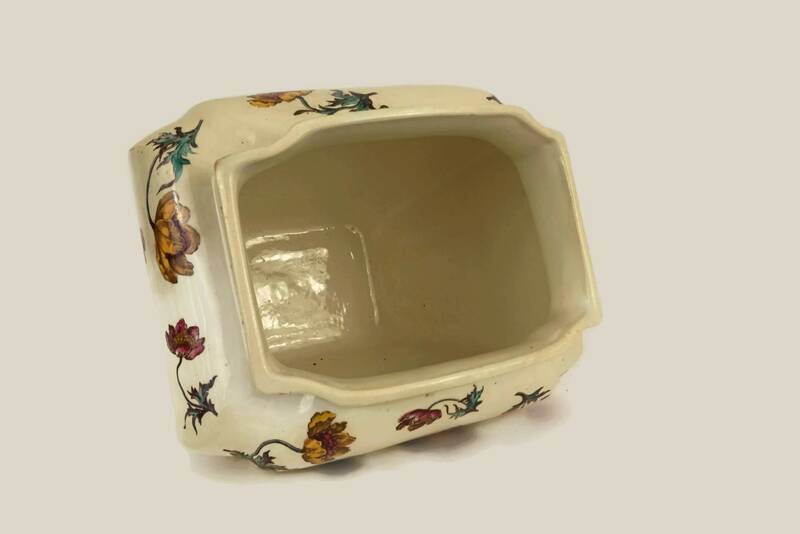 (20 cm x 23 cm x 13 cm x 15 cm). 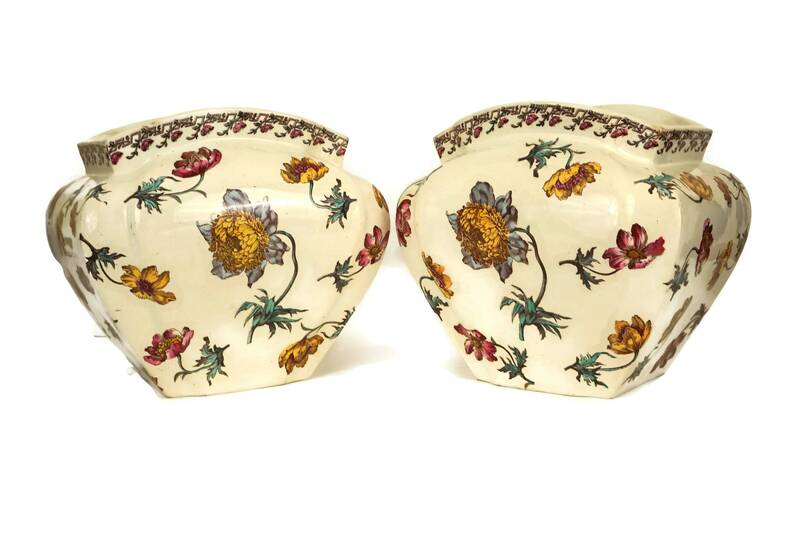 The pair of antique French cache pots are in very good condition.